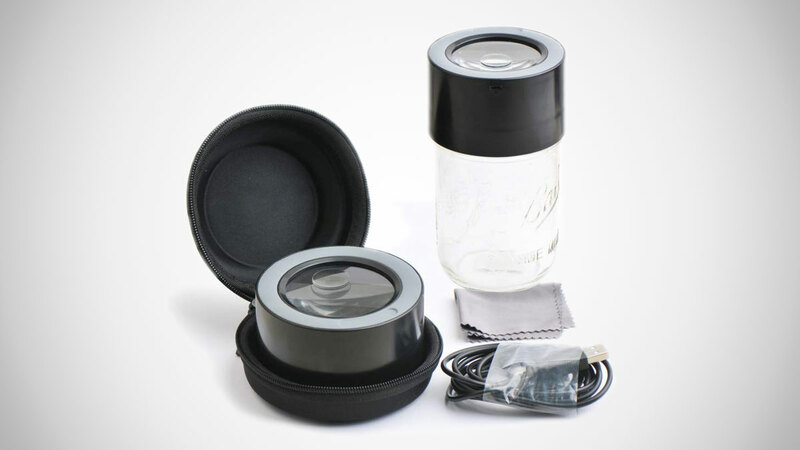 The MasonBrite lid is an airtight mason jar cover embedded with a trio of touch-activated LEDs and two magnifying glasses offering up 3X and 5X zoom-ins. It fits over any standard 86mm wide mouth mason jar. Why? Well, not for easy, up-close viewing of your grandma's homemade jam, that's for sure. OK, despite my insinuation, MasonBrite lids did come about to serve an innocent - albeit highly specialized - purpose: to give flora fans a unique and customized flower viewing and storing experience. Yep, the MasonBrite is a budding botanist's tool. 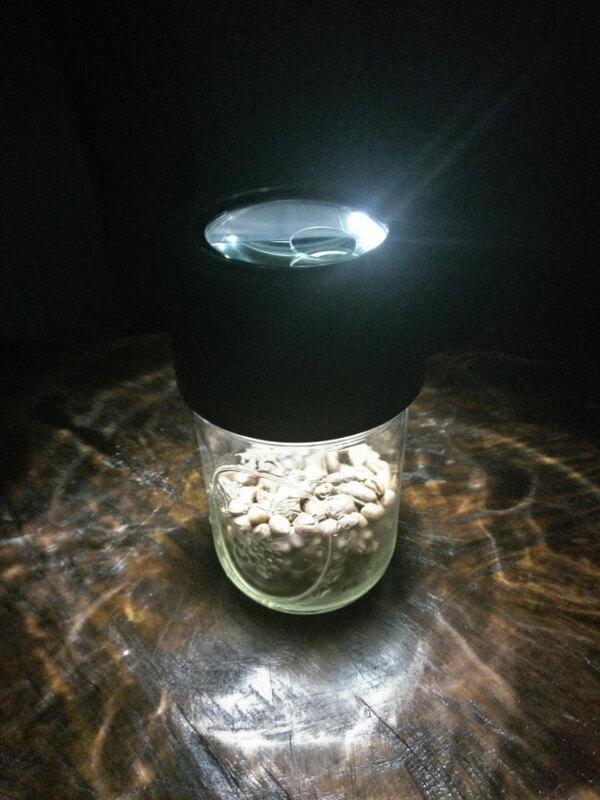 Gardening enthusiasts and terrarium hobbyists might find the lighting and magnifying potential of the mason jar lid grows on them too. And for the rest of you dudes and ladies, ye who might not be into all plants, but do appreciate getting up close and personal with all the different classifications and strains of one of them. 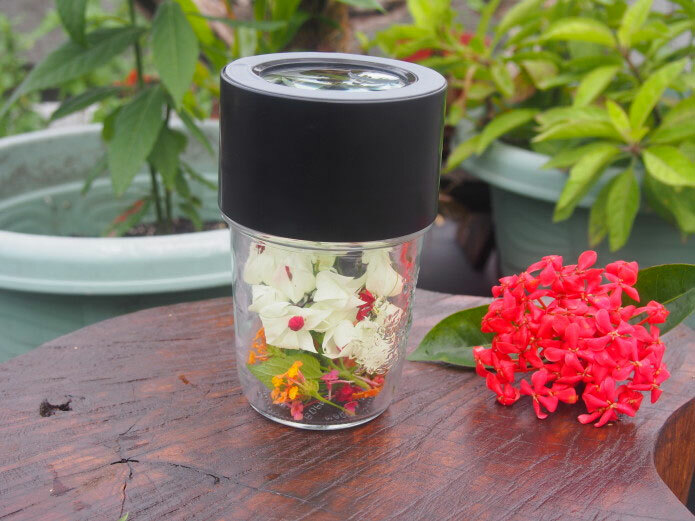 A particularly herbal variety, one best enjoyed dried, and one best kept sealed in an airtight jar. 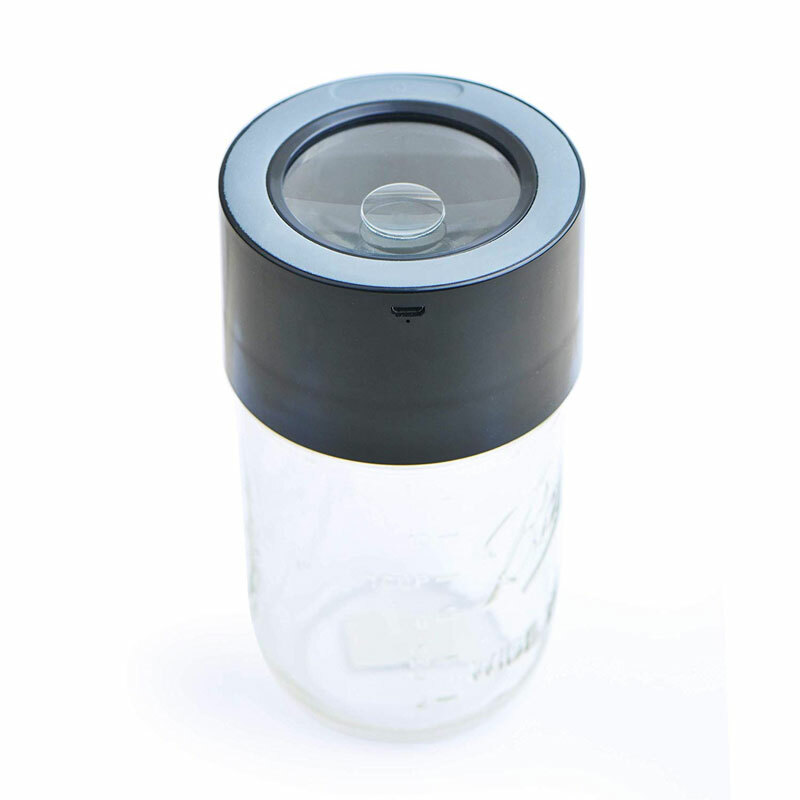 Yep, if you like to geek out on your weed, on your buds' colorations and crystals, the MasonBrite lid could make an excellent cover for your next stash jar.